One of the most famous sayings of renowned scientist Albert Einstein goes something like this – “Creativity is intelligence having fun”. Having a creative zest gives your intelligence a room to develop and grow like anything. Many of us don’t realize the gift of god disguised in creativity and even if we get to know it, we often do not utilize it well. People with a creative zest inside them could become good business people if they invest their creativity on unique business ideas. There is no dearth of creative people in India and Indian beauty sector gives a room for such creative people who wish to utilize their creativity. Here are five small creative small business ideas in beauty sector for creative people. Mehndi is an integral part of Indian culture. Many of the Hindu traditional and auspicious occasions are incomplete without a mehndiceremony. Apart from being a traditional art form, it has a lot of scope for creativity. The patterns of mehndi could be inspired by a lot of other cultures of the world, for instance, Arabic, African, Pakistani, among others. Mehndi is not just limited to Asian countries; the art form has attracted a lot of western countries too. Therefore, a huge amount of revenue could be generated in its business. The business doesn’t require too much of investment and could even be started in the comfort of your home too. The art of tattoo prevails in India since ancient times. In the beauty industry, many fashion trends come and go, the art of tattooing has never left its place from people’s hearts. 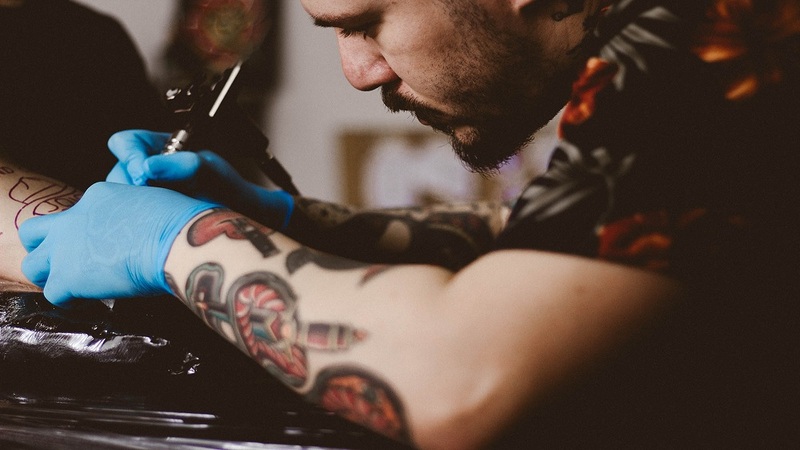 The passion for creativity fuels the life of a tattoo artist and the fact that they are getting accepted from the millennial. This has helped so many tattoo artists aspire to become successful businesspeople. With the right equipment and loads of creativity, a tattoo parlour could be started in India, that too under a budget. Hand-crafted jewelry is quite precious to have in your wardrobe. Jewelry has always been the centre of attraction when it comes to beauty. And there are a lot of people who are either blessed with the art of jewelry-making or learn the skill from an institute. If you are one of them, then a jewelry-making business could be a profitable option for you to explore the shimmery world. It could be either home-based or an in-office business. Jewelry-making is quite a rewarding business option that could be started with minimal investment. Not everybody knows how to mix and match different designs and accessories while getting decked up for different events. Styling is very broad and dynamic arena and requires a passion towards fashion and beauty. Those who are blessed with the sense of styling could start a business as a personal stylist and help out other people in doing their hair, makeup, fashion, and anything else that could help in creating their image in an event. This business is quite a lucrative opportunity as many people are willing to spend big bucks on getting styled right. Without makeup, the beauty industry is virtually incomplete. The art of blending makeup is a rare one and those with the know-hows of this art arehighly appreciated by the image-conscious world. A makeup artist specializes in blending the makeup essentials with specialized tools and artistic, talent and is great demand by the millennial to achieve a make-over. Makeup artistry could be a profitable business option for those who are highly skilled at it.